The Tucuma Color Preservation Shampoo combines all the benefits of tucuma butter along with our advanced color preservation technology to infuse moisture and protection to dry, chemically stressed hair. Our anti-fade technology provides intense protection against the suns damaging UV rays while keeping hair vibrant and soft. High in vitamin A, the antioxidant properties in this exotic Amazonian butter formula helps to keep the hair soft, smooth and nourished. 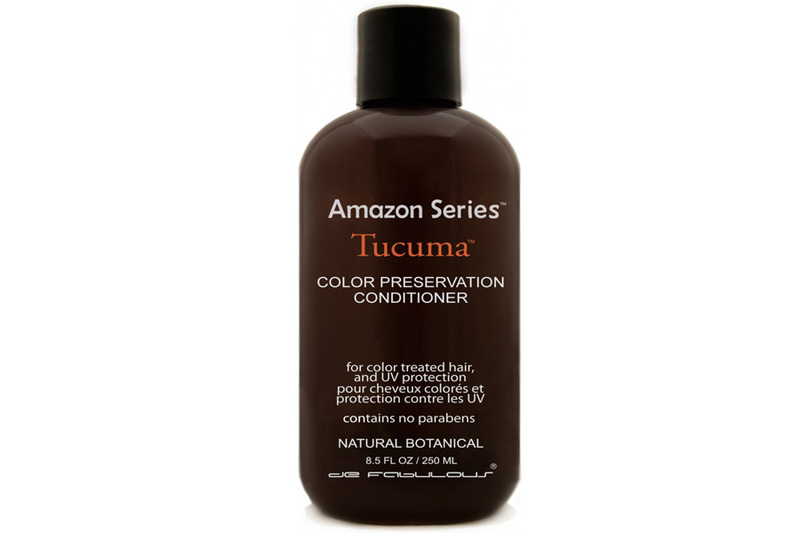 The Tucuma Color Preservation Conditioner combines all the benefits of tucuma butter along with our advanced color preservation technology to infuse moisture and protection to dry, chemically stressed hair. The natural acids and vitamins found in the Tucuma butter along with our anti fade technology infuse our conditioner with protection, detangling and intense hydration. The Tucuma Color Preservation Treatment naturally protects hair color from the suns damaging UV rays. Our advanced anti-fade technology leaves color treated hair soft and vibrant. High in vitamin A, the antioxidant properties in this exotic Amazonian butter formula helps to keep the hair soft, smooth and nourished. Tucuma Butter is ideal as an intense treatment to pamper dry, overstressed, chemically treated hair.